With news of Android 5.1 hitting many devices this week, it’s no wonder that the Xposed Framework – answer to the single biggest complaint of Lollipop users – is again a topic of discussion. Namely, the question being asked is “when will Xposed work on Android 5.1?” Today, the creator of Xposed pulled back the curtain on his development process, revealing humbling insights into the current obstacles in his path. The short answer is that making the version for 5.0 stable is the top priority, and we will have to wait for the rest. As for creating a timetable for the 5.1 port, Rovo shared that there are two reasons why this is still nebulous. To simplify the process of porting development to the newest version (once that’s on the agenda), Rovo plans to create compiler scripts for analyzing issues with how Xposed functions. Other developers are encouraged to use these compilers and packagers as well to speed up the process, so stay on the lookout for updates. In the mean time, the second Alpha build of Xposed for Android 5.0.x went live this past Sunday, and it is glorious. Yes, Android 5.1 has some stellar features, but fixing minor flaws and adding new features is what the Xposed Framework does best, so let’s sit back and enjoy the ride. You can read the full post by Rovo89 here in the Lollipop Xposed development thread. 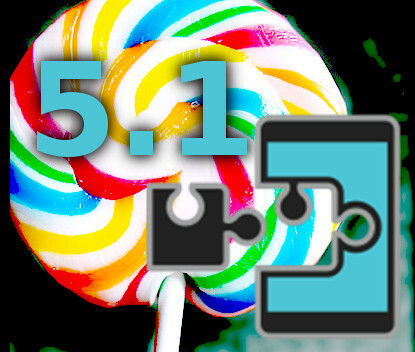 Will you be upgrading to Android 5.1 before there is Xposed support? What features are holding you back? Let us know in the comments, and keep an eye open for the chance to help contribute to this project! Chris Gilliam is a front-end web developer with a background in physics, but his passions lie with open ecosystems, Android, linked data, and the unfettered exchange of ideas. He dreams of a semantic future in which knowledge organically evolves within hives of creativity like the XDA forums, and works, tinkers, and writes to help make that future possible.